A garden with good landscaping will not be complete without a pond. You can rear koi or gold fishes in the pond, and keep various water plants too. It gives gardens the sense of tranquility with the pleasant splashing sound of water. Professionals would definitely quote you expensive prices, so why not learn how to build a pond on your own? You can tailor make your own pond to your preferences of all shapes and sizes within your budget. 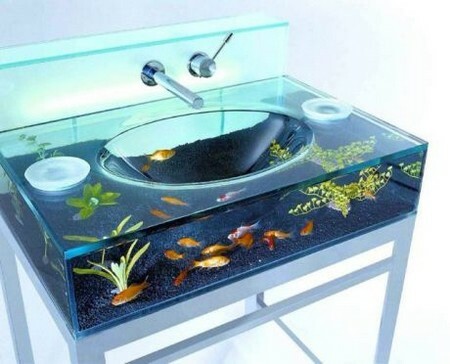 Obviously, these ponds are not portable, so you will need to find a suitable place to fit the pond in. Do not worry about regretting afterwards as the only thing you will regret about getting a pond is that the pond is not big enough. Put in your creativity and imagination or even brainstorm with your family members to come up with a blueprint. Check to see if your location is suitable to build the pond. You will not want to build near slopes or trees and damage the roots by digging into the soil. Use chalk to draw the outline of the pond. Proceed with the excavation by digging 3 to 5 feet into the ground within the outline. Screen through the hole to check if there is anything that would damage the pool liner. For example, glass bits, stones with sharp edges and roots. Get the correct size of thick hard pool liner and place it over the hole. Start filling the pond with water and pull to remove the wrinkles on the pool lining as the water rise. You do not want wrinkles on the pool lining as it will be the habitat for algae and it is not easy to remove them. Place a few water plants in the pond to keep the pool lining submerged until there is no air between the lining and the soil. Leave the edges of the lining as the barrier to prevent grass or soil from going into the pond. Cover it up with decorative stones or arrange pebbles along the lining. 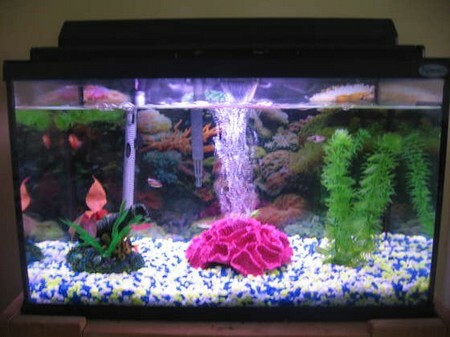 Affix the pump and hide the tubes with floating water plants. Place the pump hose on the bed and put on larger pebbles to hide the hose. Switch on the pump and to see if the pump is working. You may now decorate the pond by adding different species of water plants or even fishes into the pond. 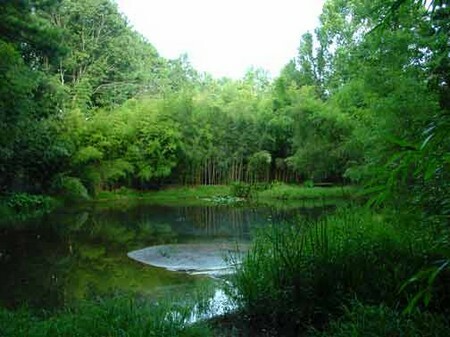 These ponds do require maintenance and you should have some fishes in the pond to prevent it from becoming the breeding ground for mosquitoes. Are you yearning to have a fountain in your very own garden? One would definitely love the sound of bubbling water – it helps to calm you down and creates the effects of nature in your garden. Fountains may sound exquisite and custom made ones really comes with hefty price tags. You can actually build it yourself even if you do not know how to build a fountain. A fountain can be made as simple as by recycling pots and install a water pump in it. 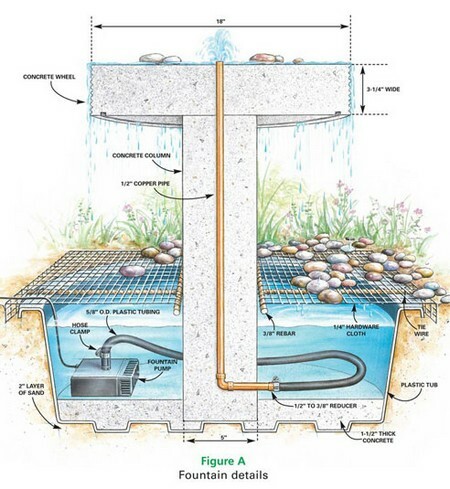 You will need tubes, a submersible pump, rocks and terra cotta pots. These materials can be easily obtained from garden supply stores. Build the fountain on the spot that you would like to place it so that you do not have to move it later. Make sure that the power cord is long enough to reach the nearest electrical outlet. Before buying the materials, you will need to choose the size of the pot first so that you know what kind of submersible pump to buy. First, brush on a layer of waterproof sealer to the inner part of the pot and let it set for a while. You would want to get pots with drainage hole so that no drilling is required. Pull the plug through the hole and place the pump inside the pot. Leave a space of a few inches because later on you will need to pour pea gravel into the pot for the pump to sit on, and then tape the cord outside of the pot to secure its position. After that, place the pot on the pot feet where you would like to have your fountain situated. Fill in the gap of the drainage hole with silicon sealer so that the water will not leak out from the bottom. Leave it for a day or two before using it to allow it to dry completely, and then pour in 3 – 4 inches of pea gravel to level up the pump. Before installing the bubbling fountain nozzle onto the pump, make sure that the pot is deep enough. The nozzle should be a few inches away from the lip of the pot. Lastly, you may fill the pot with water, turn on the water pump and you are done! These decorative fountains can be used together by placing a smaller pot in a large tub to create multiple fountains. Placing water plants into larger pots is also a good idea in decorating these fountains. A maze building in the garden is a wonderful way of how a family can spend some priceless time together. It gives satisfaction to be able to beautify one’s own home without much assistance from others and to gain further compliments from the neighborhood. There are various types of mazes available ranging from simple to complicated ones. This depends on the number of paths that lead to the centre and also paths that branch off to other directions which lead to dead ends. They are often found in residential and recreational areas solely for decoration and entertainment purposes. Shopping malls and hotel gardens have these built to attract more visitors. 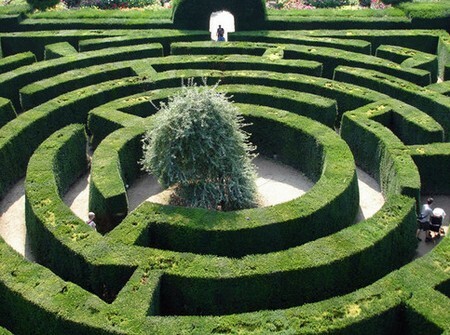 The following article explains how to build a garden maze that you can admire in the comfort of your own home. It is fun and enjoyable. Thus, waste no time and let your creative ideas start flowing. Firstly, pick a spot in your home, preferably one that is sunny, open and spacious. Then, start deciding on the kind of maze that you favor. It could be from a simple one with only a single path from start to end or a complicated one with several paths leading to the end follow by many branches of dead ends. Once you have decided on the type, do a rough sketch of your maze on the graph paper with the right scales in place. You can choose from a variety of plants from corns to flowers for a garden maze or opt for the conventional choice, Boxwood. Do an initial pattern layout of your maze on the chosen ground by using either a rope or string. Ensure that the paths are wide enough for walking. After that, you can start growing the plants you preferred to form the maze walls. The most important key to take note is to plan a good drainage system for your maze. You could consider digging shallow ditches at the side of the paths or make a slight rise in the center of the paths. Last but not least, after all the effort, you will need to tend to your maze at least once a week. Plants need to be trim from time to time to ensure that they do not overgrow. If your path is made of grass, you will need to mow and pull out weeds from it as often as possible. Building a garden maze is not that difficult with the extra presence of patience, commitment and perseverance. These are some of the ways on how to build a garden maze. Give yourself a try out today to make your home a more wondrous place to stay in.